Hi Everyone! I hope that everyone is having a great week so far. 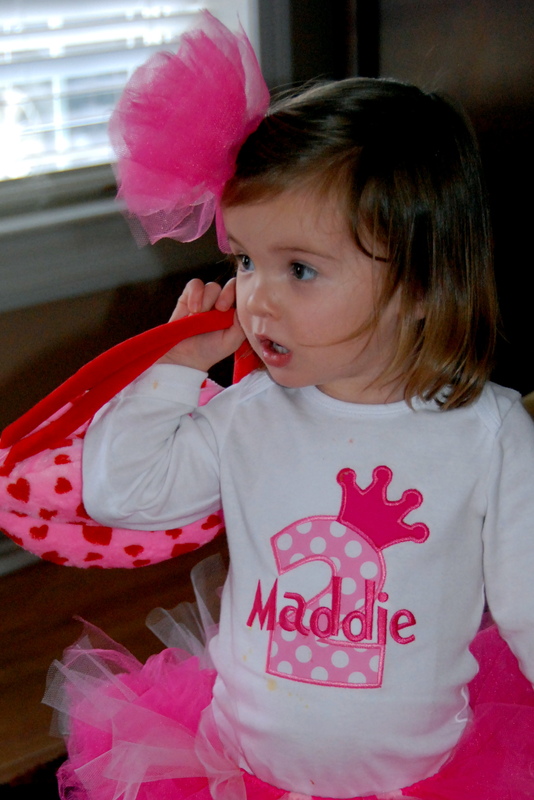 We have been very busy this week, so I am just now getting around to posting about Maddie’s 2nd 2nd Birthday party. It was last Sunday, and this was just a family party. However, in my family there is no such thing as “just” anything! Having a party with everyone that is considered family is quite an undertaking. 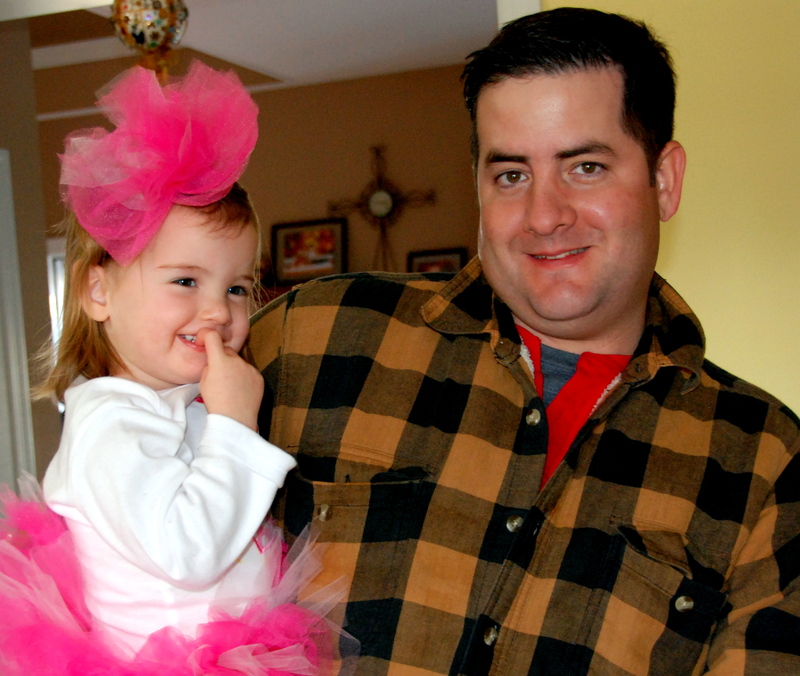 Our church was cancelled due to “Winter Weather Blast 2013,” so Jason and I had the morning to get ready. That is, I had the morning to get ready, and Jason had time to research cell phone plans online. 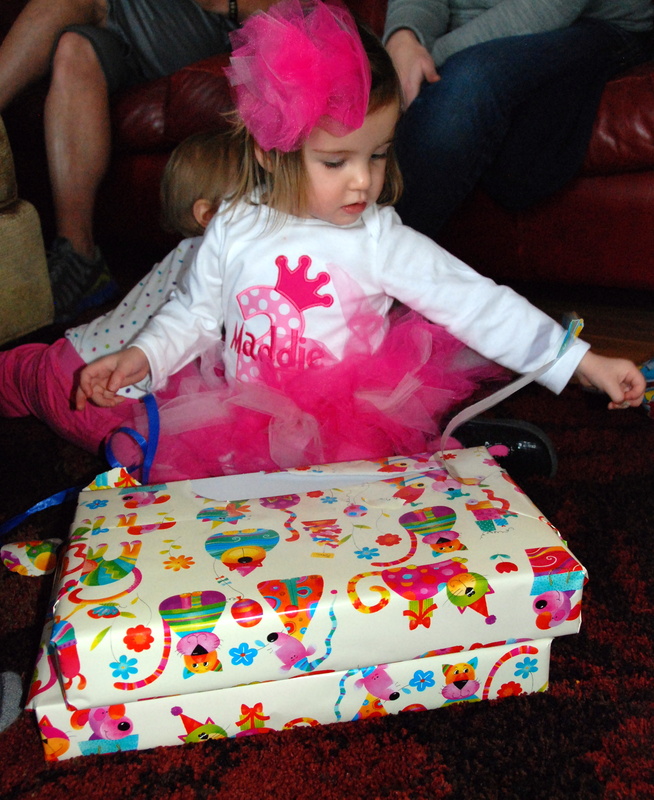 Birthday Girl in her tutu! Maddie’s 2nd Outfit-She’s such a Diva!!! 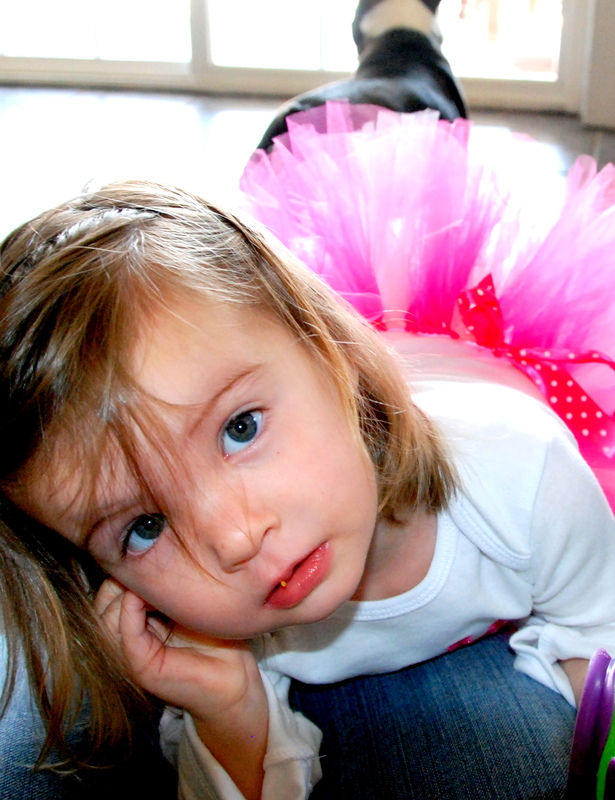 The tutu, legwarmers, and hairbow came from the shop that my sisters and I run, Mommy in Bonlee. You can check us out on Facebook, http://mommyinbonlee.storenvy.com or http://www.etsy.com/shop/mommyinbonlee. The CUTE onesie was handmade by Say It N Stitches, at http://www.etsy.com/shop/sayitNstitches. They do awesome work. I am really disappointed that Maddie drew all over the front of this onesie with a dry-erase marker. I know from my teaching days that, no matter how long I OxiClean that thing, it just isn’t coming out. 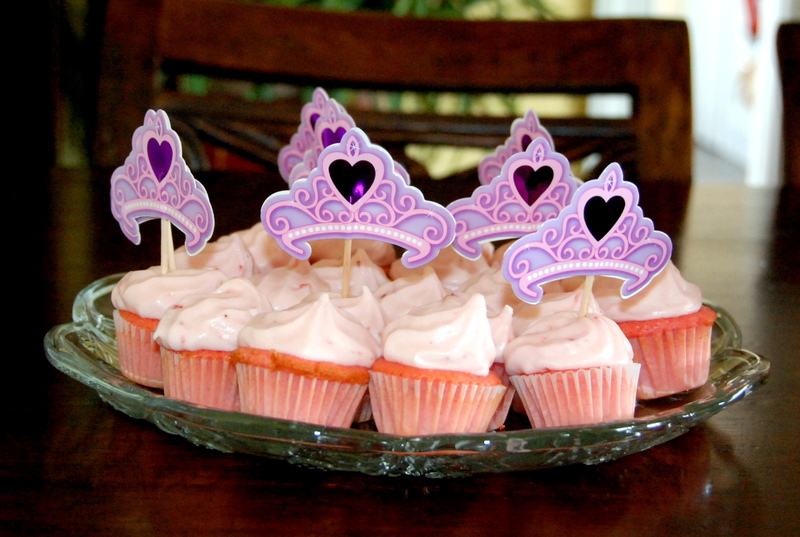 We had our usual hamburgers and hotdogs, with the strawberry cupcakes making yet another appearance! You can get the recipe from the link below to my earlier post. Some miniature cupcakes for the dieters-I think most just ended up eating 3 of these! 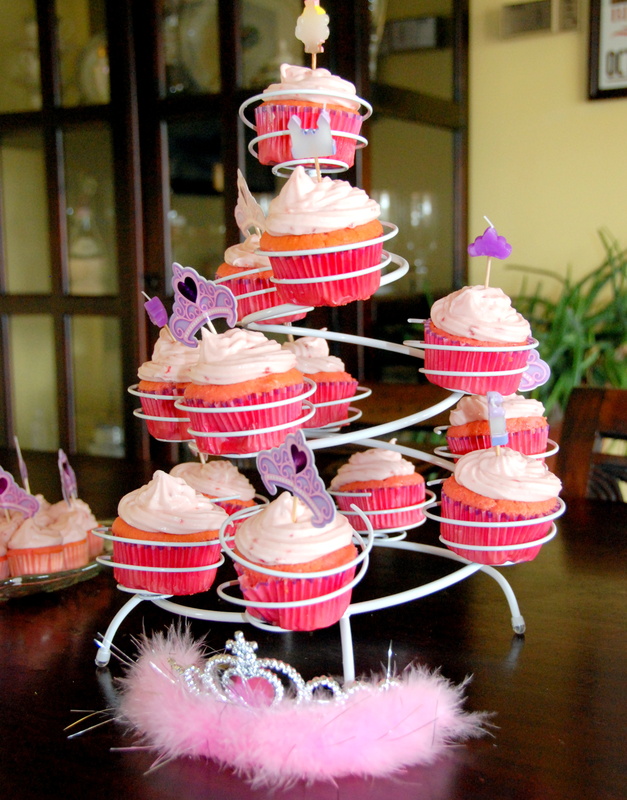 Finally got to use my cupcake stand! Maddie loved being the center of attention and having Happy Birthday sung to her. She has him wrapped around her finger! 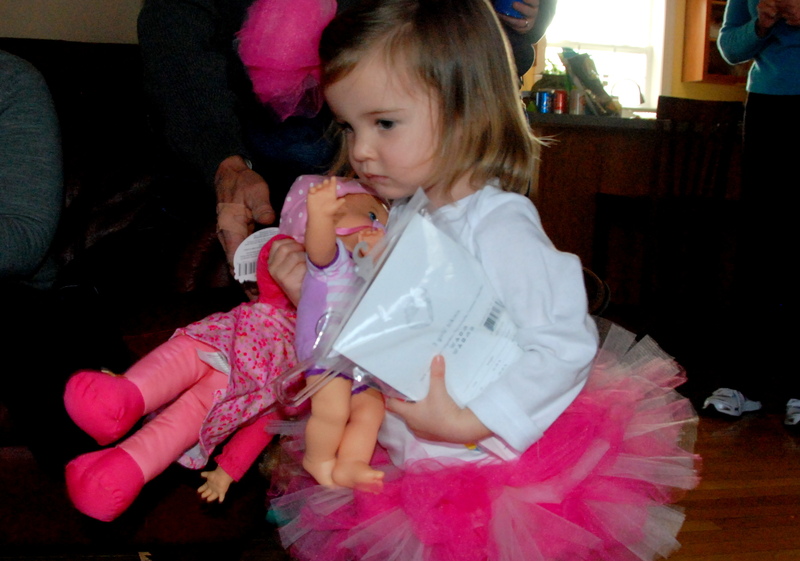 She tried to carry around all of her new dolls and her new underwear all at once! 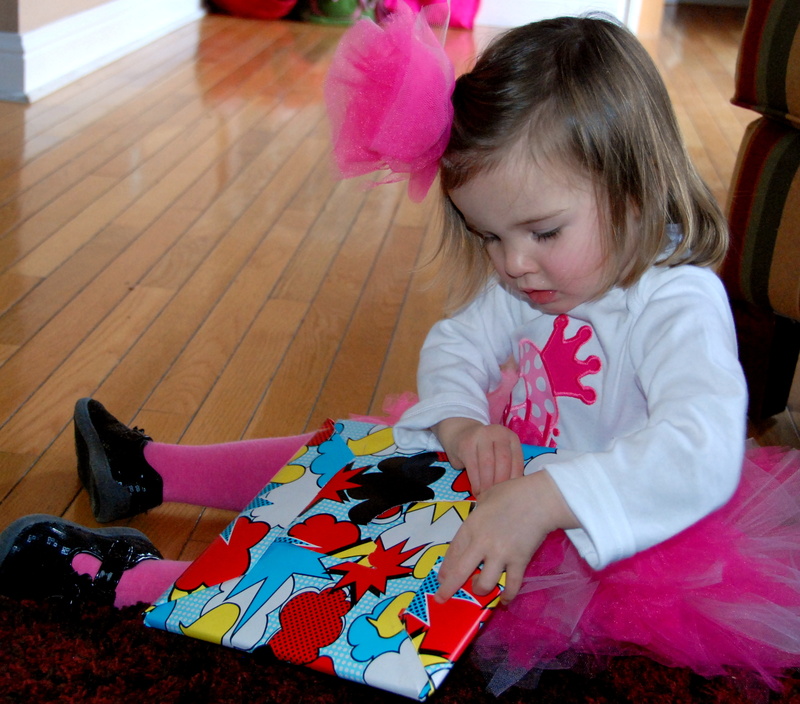 Maddie loved her new pocketbook from Gramma! 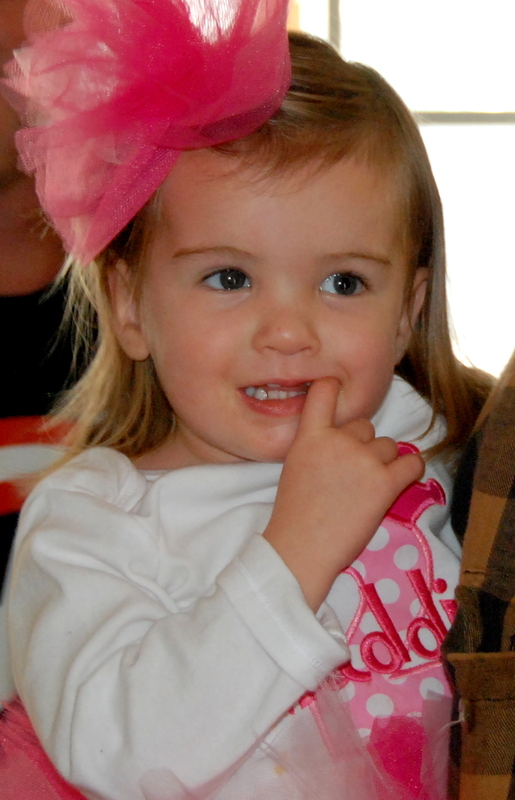 So, Maddie’s 2nd 2nd Birthday party was a success! It is always a pleasure to get all of our family together, especially to celebrate such a little sweet blessing as Maddie. Maddie is such a cutie! The cupcakes were awesome! 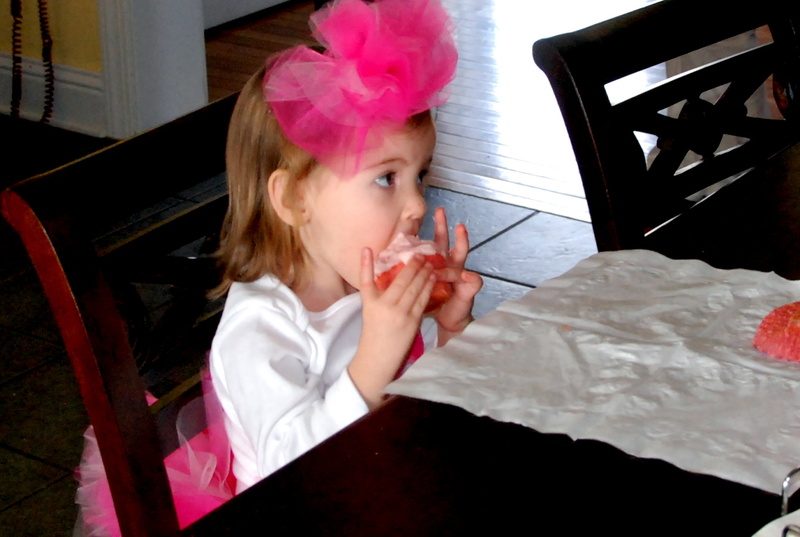 Emma enjoyed eating the icing off two cupcakes. It was fun. 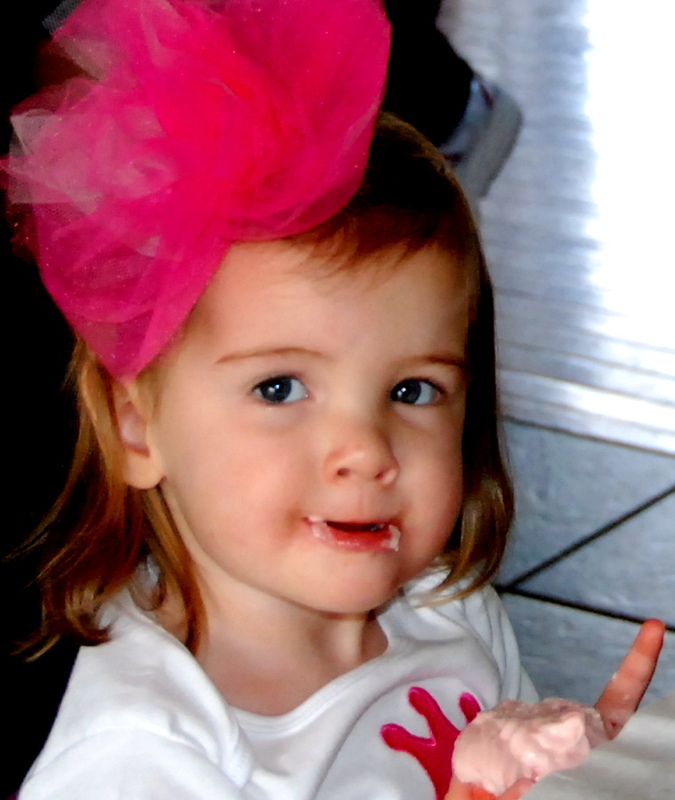 Are you getting ready for Emma’s 1st Birthday party yet? I will be glad to make some cupcakes! Yeah, I’m gonna have to make johnny some of those cupcakes. We had a blast! Favorite part was definitely maddie carrying around both babies and the pack of underwear! Sorry to miss it, but I REALLY enjoyed the cupcakes! Sorry you couldn’t make it, Jill! We actually still have a few cupcakes left-I think we’re all tired of them!